If you want to have a commercially successful game, just take a popular franchise or genre and make a toy version of it. Tiny Troopers: Joint Ops is a twin stick shooter that follows this approach exactly, making a day in the life of a solider appear cute and cuddly with a dash of bullets and blood. With cues taken from modern military shooters and bobblehead-like soldiers Tiny Troopers: Joint Ops finds its niche and delivers. 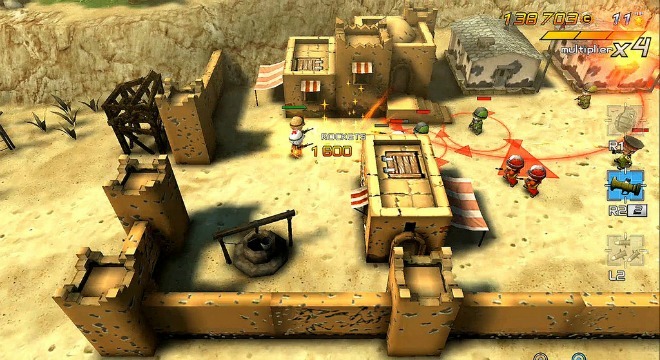 Difficulty – It’s easy to judge Tiny Troopers: Joint Ops by its cover, especially after the first handful of missions, but there is a considerable amount of challenge here.The game gives you the ability to play any mission on four different difficulty settings, making it accessible to any audience. Even on the highest difficulty the first tour of the war is mildly challenging at best, but things progress at such an even pace you won’t even notice the transition into heated battle scenarios. The ability to tweak the difficulty per mission combined with the well-paced rise in action makes for one smooth operation. Permadeath (Kinda) – You are given a duo of randomly generated soldiers at the beginning of the game, and if one should perish they will be replaced with another randomly generated soldier. It’s easy to get attached to your little guys, especially with their chipmunk-like battle cries. If a soldier should fall or if everyone dies during a mission, you’re giving the option to revive the fallen heroes if you have enough medals. If not, then they’re gone forever… we’ll never forget you Sarge. Upgrades – There is nothing like the feeling of watching your wet behind the ears recruits turn into Rambos on the battlefield. The upgrade system in Tiny Troopers: Joint Ops is a grab bag of delights. The upgrades range from the usual stat increases to one-time “sure soldiers” that can change the tide of battle. You are always pumping money into the war economy and it’s a literal blast to do so. Upgrading is not only enjoyable, but a constant necessity to your progress. Repetitive – The average mission takes any where from three to five minutes, maybe closer to 10 if you’re interested in hunting down collectibles. There is nothing wrong with short pick up and play missions, but when they are extremely short, carbon copy levels become dull fast. Length – There are two slightly different campaigns that are broken up into acts. While they do provide decent variety and enjoyment, they also overstay their welcome. Though the game has more to offer than it appears, there is such a thing as too much cutesy charm. Once the novelty wears off there is nothing driving you to win the fight. You won’t be hopping online to battle makeshift soldiers around the world and you won’t pour hours into a cinematic campaign. Even if it’s not the ideal shooter it has things going for it that make it worthwhile. 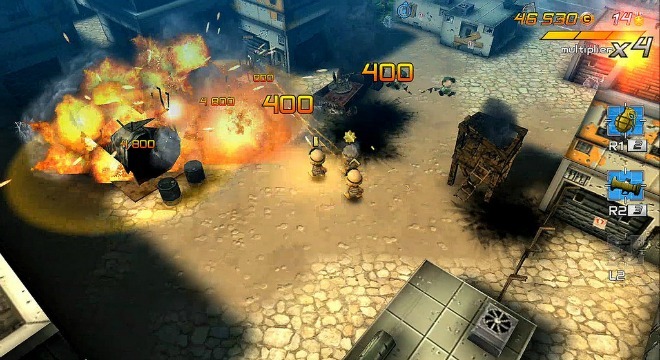 There is the heart of a warrior in Tiny Troopers: Joint Ops. Granted it’s probably a tiny heart made out of plastic, but it’s there. 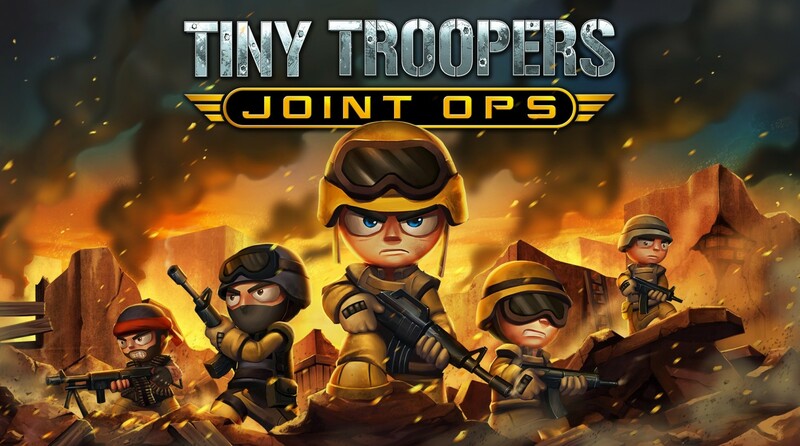 Tiny Troopers: Joint Ops was developed by Epiphany Games on Xbox One. It will be released on January 26, 2016 for $9.99 . A copy was provided by Wired Productions for review purposes.